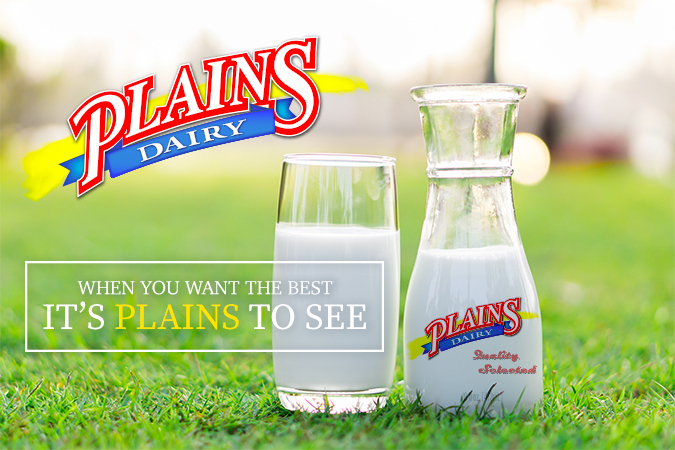 When J. Lindsay Nunn started the dairy with a mere seventy cows in 1934, he could not have envisioned that, Plains Dairy would be selling hundreds of thousands of gallons of milk a day to customers more than 550 miles away. Yet, as the city’s sole operating dairy, this friendly operation remains an Amarillo icon that generates a warm, down-home feeling from a company that continues to supply the freshest, best-tasting dairy products around. Affiliated Foods purchased the dairy in 1996 and adopted the name Plains Dairy. Affiliated Foods’ service area spans West Texas, New Mexico, and parts of Oklahoma, Colorado, Kansas and Arizona. Over the past couple of years, Plains Dairy, with the advice of the Milk Industry Foundation, International Dairy Foods Association, and well-established industry consultants, has invested approximately 2 million dollars renovating and modifying the plant to exceed what is believed to be required to process safe, quality food in the future, providing one of the freshest, most nutritious food items a retail grocery store can offer its customers. In addition to the thousands of gallons of milk produced each week, Plains also produces refreshing orange juice, fresh-brewed tea, and thirst-quenching punches like Tampico citrus drinks.